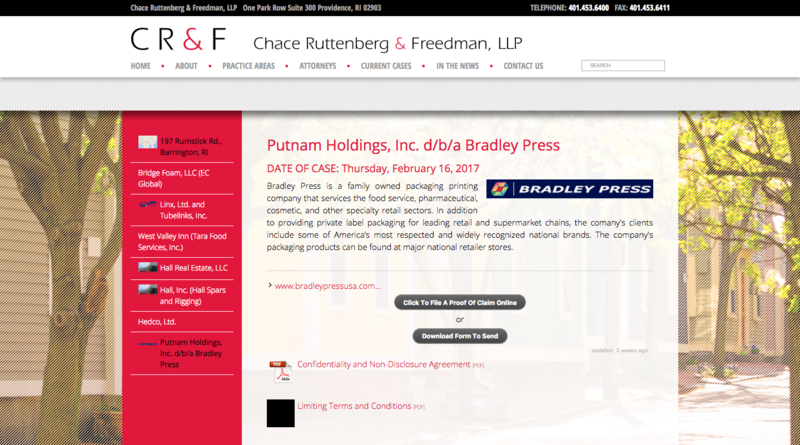 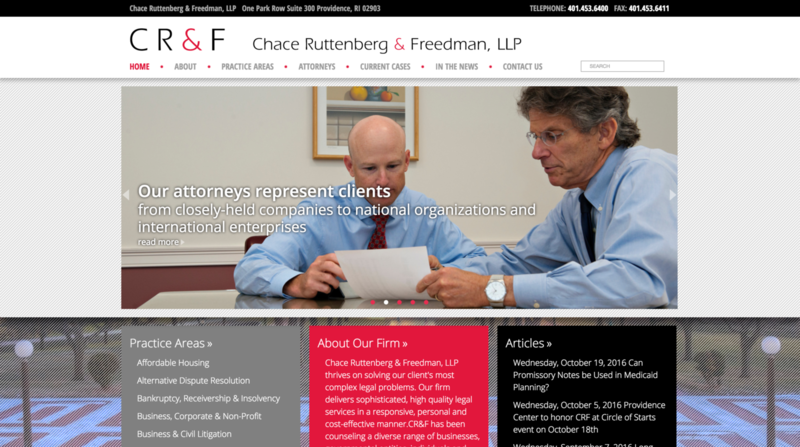 Chace Ruttenberg & Freedman, LLP thrives on solving their client's most complex legal problems. 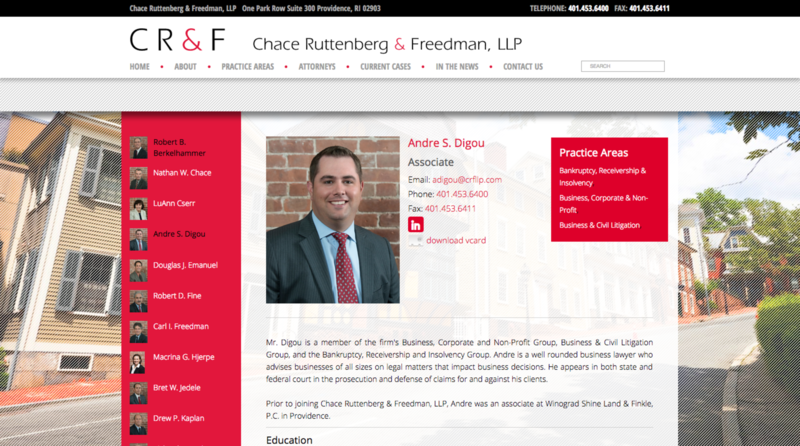 The firm delivers sophisticated, high-quality legal services in a responsive, personal and cost-effective manner. 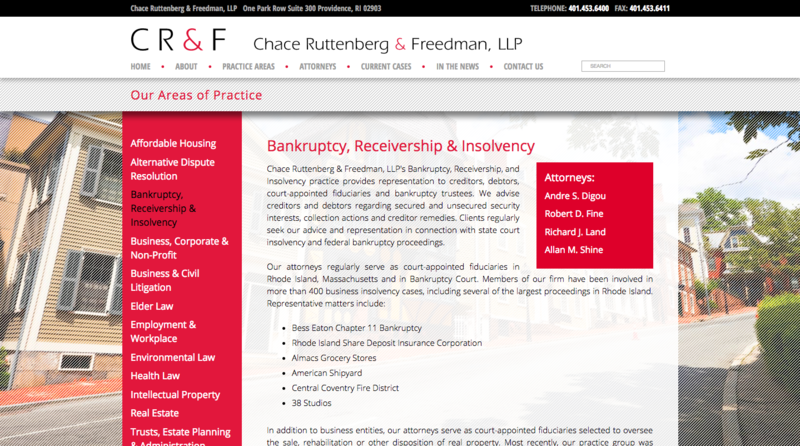 We built a claim engine into the website so that individuals can file a claim online.